Patrick Chan is in Vancouver today, to lend support for the important efforts in the community raising awareness for bone marrow match/ stem cell research. Celebrate Patrick Chan as Canada’s figure skating champion…and to support his efforts for the 2014 Olympics . And of course, he’s the guest of honour for tomorrow’s big fund raising and Community Support event in his quest for Gold in the XXII Winter Olympics! The World Chinese Business Association of Canada (WCBAC) together with proud fans and supporters of Canada’s Champion Figure skater, Patrick Chan, are holding a media conference on Friday to show our continuing support for Patrick, and to celebrate his continuing winning streak! Patrick Chan is in town, as he is the guest of honour for the celebration that will occur the following day – a community dinner and fundraiser. A goal of this event is to show community support for one of our nation’s bright young sons, and to help Patrick raise funds to continue his training. The celebration event (to be held at Victoria Seafood Chinese restaurant on Saturday, Feb 18), was completely sold out within days of the announcement, with guests arriving from across Canada. Now that’s support! Patrick will be available on Friday for interviews, photographs, and will be happy to share his joy and success on his recent accomplishments. Patrick Chan is the reigning Figure Skating National Champion of Canada (2008 – 2010). Patrick, 20 years old, is a descent of Hong Kong immigrants. He is the 2011 World Champion, 2010–2011 & 2011-2012 Grand Prix Final champion, the 2009 Four Continents champion, and a four-time (2008–2011) Canadian Champion. At the 2010 Canadian Championships, he was nominated to represent Canada at the 2010 Winter Olympics. He placed 5th in the men’s event. On April 27, 2011, Chan set a new world record of 93.02 points for the short program. Chan then set a new world record for his free skate. Chan was crowned World Champion in Moscow on April 28, 2011. In recognition, Chan was named the recipient of the prestigious Lou Marsh Award as Canada’s top athlete. As with all Canadians, Chinese-Canadian communities across Canada are extremely proud to support Patrick Chan. We all wish him success in representing Canada for the Gold medal in Figure Skating World Championships, and again when Patrick represents Canada at the XXII Olympic Winter Games in Sochi, Russia in 2014! 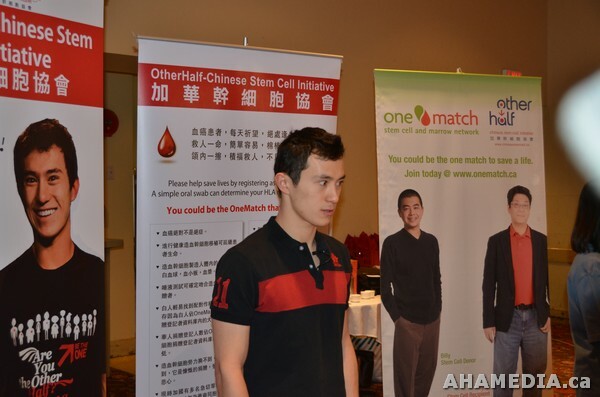 Patrick Chan also supported One Half Chinese Stem Cell Initiative a charity dedicated to increasing the number of stem cell donor registrants of Chinese descents on the OneMatch Stem Cell Network. By registering as a donor he hopes to lead by example, encourage more new potential donors to join him and increase the likelihood of finding that life-saving match for patients.